India being the land of Maharajahs and Nawabs, it is customary for us to indulge in heavy, rich and sweet laden dessert. How’s that for an excuse for gluttony? Pretty good eh? Yes the dish I am sharing today is as rich and delectable as it is fit to be served to Kings and Queens of gone era. I have been making it for last few months repeatedly and even made it for my mom while visiting her in hometown last month. Rabri or Khurchan is made using simplest of ingredients, milk and sugar. Milk needs to be evaporated on slow flame, in a similar process of making Basundi, along with collecting the cream that sets on top every few minutes. This collected cream makes the thick lumps we need for rabri, while evaporation thickens and reduces the milk. 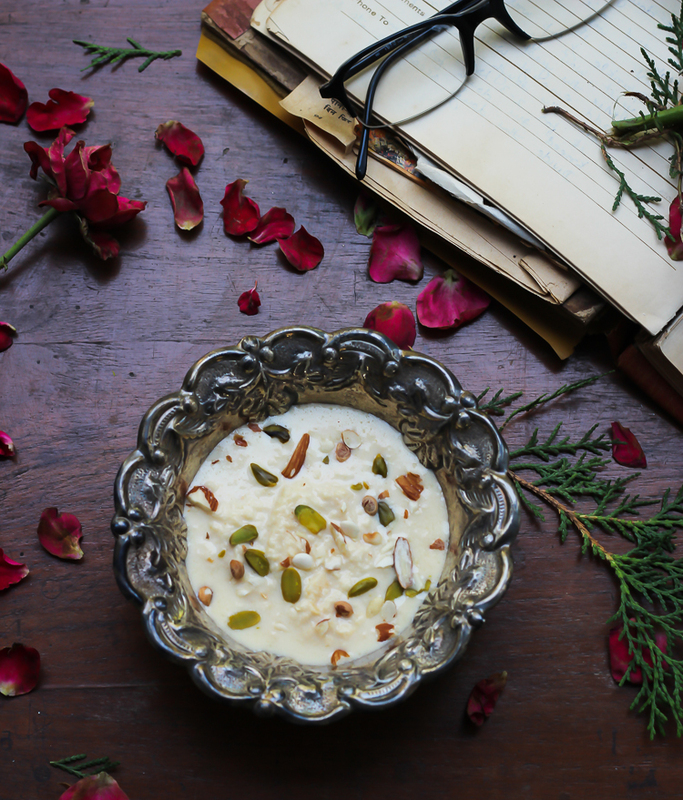 It is best served chilled with some sprinkling of unsalted pistachio and almonds. A rich and creamy make-ahead dessert for a party or family indulgence.